The proposal made by the Luxembourg Presidency of the European Union to strengthen collaboration between the European Union and countries of the Maghreb through professional training is an essential step in addressing the problem of youth unemployment. Some countries have reached an alarming level of youth unemployment, with 15 to 29-year-olds accounting for two thirds of the unemployed. In Europe, 5 million young people are out of work, 50% in countries like Spain. The current human tragedy is just an example of the imbalances and instability affecting both sides of the Mediterranean and beyond. As we celebrate the 20th anniversary of the Barcelona Process and the European Union gears up to release its new European Neighbourhood Policy, the relationship between Europe and the Mediterranean needs to be re-examined. 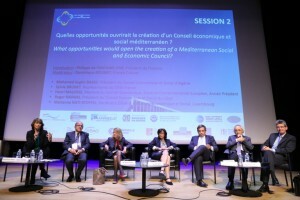 In keeping with the work of the last two years and the concentrated focus on the link between the future of the Mediterranean region and future of youth, participants at this year’s meeting brought concrete proposals to the table for increased collaboration between the Northern and Southern Mediterranean to improve professional training and entrepreneurship.